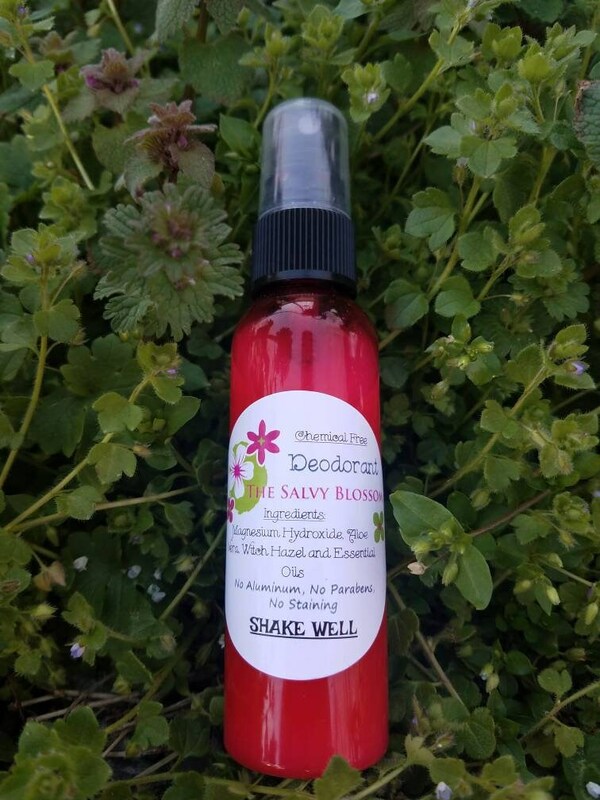 All Natural, Nontoxic, Aluminum, Paraben, Chemical and Dye Free Deodorant Rich with Magnesium! This Deodorant really works!!!!! 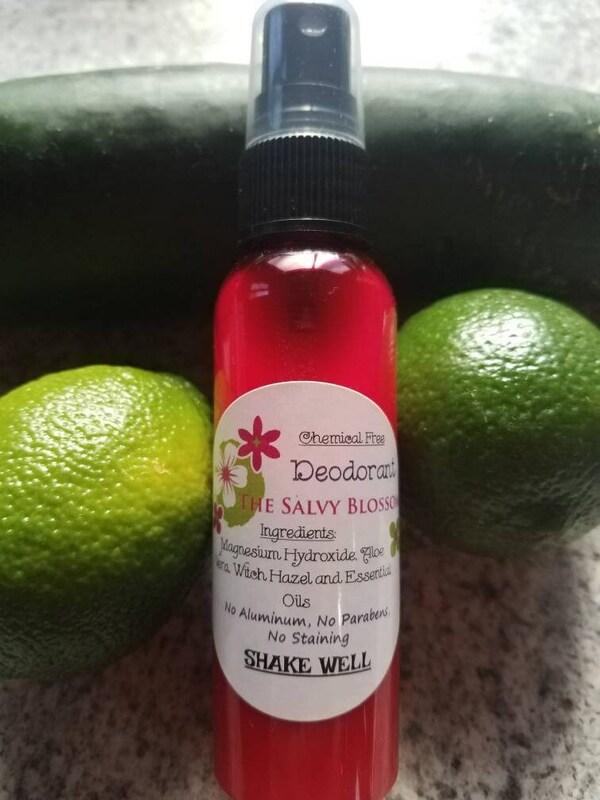 Why a natural Deodorant as apposed to Commercial Brand Deodorant? A ~ Most Commercial Brand Deodorants Contain Aluminum, Parabens, Propylene Glycol, Phthalates, Triclosan, Artificial Fragrances, ETC, which are chemicals known to cause cancer or affect your hormonal balance. 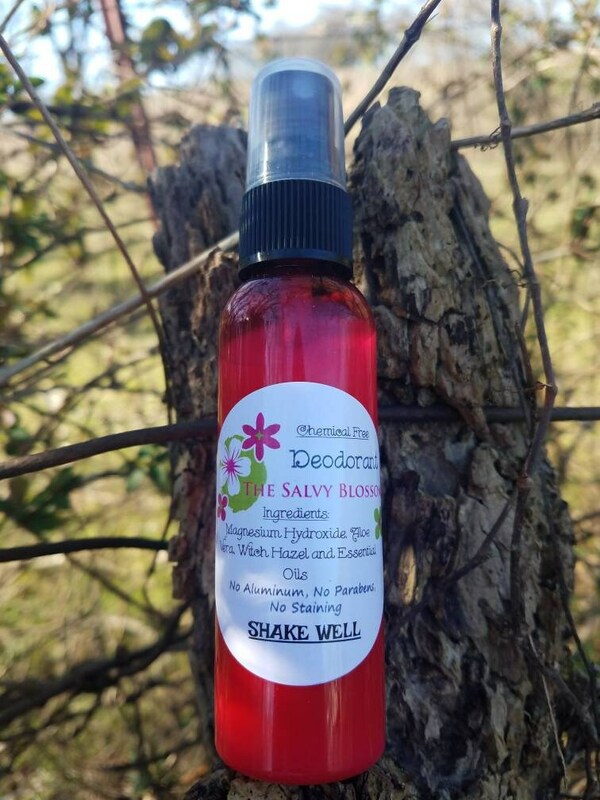 Why a spray Deodorant as apposed to other Natural Deodorants? A ~ Magnesium Hydroxide, Magnesium helps to control Odor and can be super beneficial to the body. Other Natural Deodorants use Baking Soda as their active ingredient (many people become sensitive to Baking Soda with Prolonged Use). Aloe Vera = healing to and helps smooth the skin. Aloe also offers anti-inflammatory properties. Witch Hazel = an astringent to help close pores and reduce wetness from sweat. Distilled Water = we use distilled to avoid any contaminants that may encourage bacterial growth. Essential Oils = offer further antimicrobial and astringent properties. Also, they smell great! 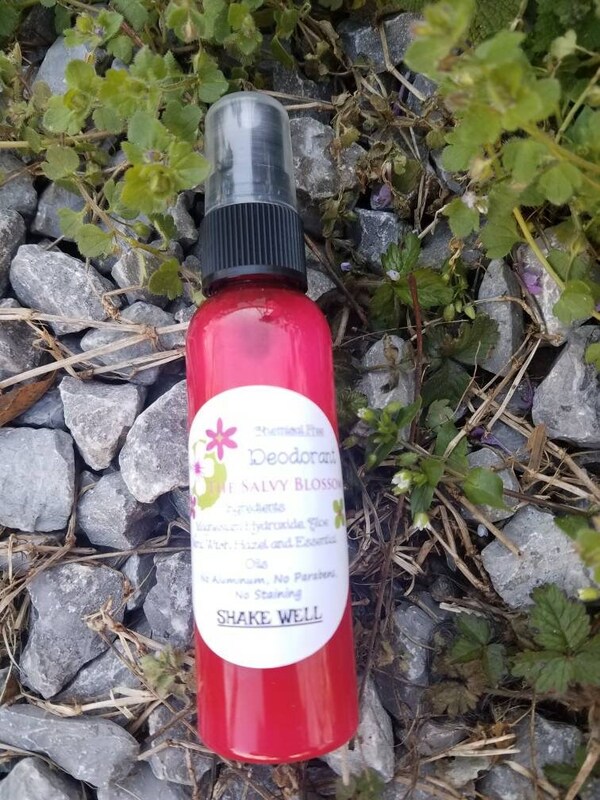 Product comes in a 2 ounce spray Bottle. 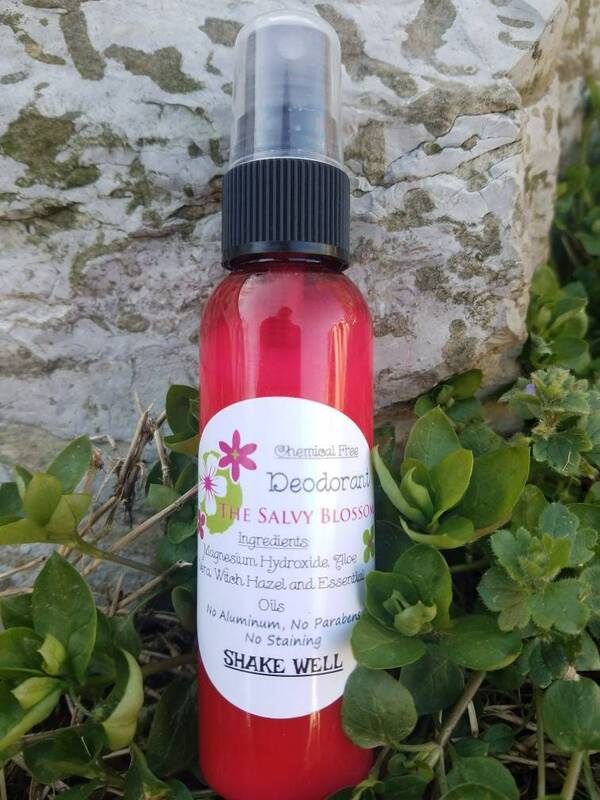 If you have any allergies to the above, would like to omit or change essential oils, or would like Baking Soda or Arrow Root Powder Added to this product please add a note to your purchase or contact us directly prior to ordering. ~ Thank You!! !